A condition called bleachorexia is the name for a new diagnosis, for people who are obsessed with teeth Whitening in Dubai. It is a condition where a person is consumed with the quest of making their pearly whites spotless with teeth whitening treatments and teeth bleaching products, that are harmful towards ones oral health. If you have identified yourself as a person who has this disorder, you should not pursue with anymore teeth cleaning in Dubai, but set some realistic expectation for your teeth. I mean after all teeth are being used to eat and drink many types of food and they do have regular wear and tear, teeth cannot be made to look spotless all the time. Teeth naturally become stained. What people who get a teeth Bleaching in Dubai regularly don’t realize is that the teeth will not be any whiter than they were before as it also changes the natural color of the teeth. These agents work well on yellow stained teeth, not as much on brown teeth or grayish colored teeth. Teeth whitening or bleaching may not have a significant effect on teeth that are discolored by fluoride or antibiotics as well. In-office teeth bleaching. Done by an experienced dentist at the dental office by using a protective gel or rubber shield to the gums, and then applying a bleaching agent to the teeth. This procedure may take between 30 minutes to 1 hour per session. At-home bleaching. Some dentist can provide the patient with an at home dental bleaching or whitening kit to use at home. The kit includes a bleaching solution in gel form and a custom-made mouth guard to hold the gel in place. The mouth guard should be worn as directed by the dentist. Over the counter bleaching and cleaning kits are not approved so it’s very risk using them. Teeth whitening toothpastes. This does not give the desired effect instantly. If you are waiting for your teeth to turn white, it’s going to be a long wait. Whitening tooth pastes only make your teeth clean, like when you have a dentist perform a Dental Cleaning in Dubai. It does not bleach or whiten the teeth as expected. If teeth bleaching is done properly, it can have the effect your desire, but if it’s overdone it can harm your teeth, causing them to get translucent, making them look even less whiter. Hypersensitivity – making your teeth very sensitive. Oral irritation and side effects. The gums, palate, and throat can become irritated. Some patients have experienced nausea, due to accidentally swallowing the bleaching solution. Tooth enamel erosion. Improper or regular use of the home bleaching or whitening kits can lead to the outer coating of the teeth wearing out. Therefore, its best to stick to products that are approved by the dental association if Dubai. 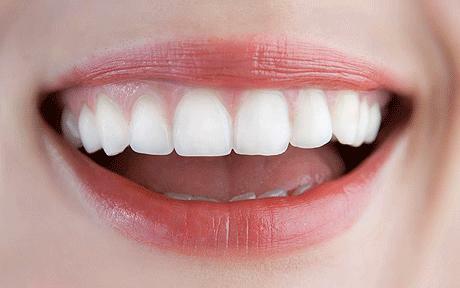 Remember that if your teeth are whiter that the whites of your eyes it is not natural or healthy. Dentist in Dubai are making people aware of the dangers of poor oral health and the implications it has on other areas of an individual’s health. And what better way to do it than during the month of September, which is dedicated as National Gum Care Month. Gum disease is an infection of the gum tissues that surrounds and supports the teeth. Gum disease is a common cause of tooth loss in adults. An individual may not know they have gum disease until it’s too late, as its painless and the symptoms are not very obvious unless you pay extra attention. Gum disease is caused by plaque, the sticky film of bacteria that is constantly forming on our teeth. The early stage of gum disease is gingivitis and it is reversible and can be treated by a Dental Cleaning in Dubai along with a daily brushing and flossing regime. Therefore, if you notice your gums becoming red, swollen and bleed easily make an appointment with your dentist without further delay. If gingivitis is neglected it could lead to Periodontitis, an advanced stage of gum disease. Periodontitis can get into a persistent and severe stage when it’s neglected, leading to the loss of tissue and bone that support the teeth. This in turn makes the teeth loose and start moving around the mouth. This can be overwhelming for an individual who may suddenly wonder what is happening to their teeth. Periodontitis in adults can occur at any age. The disease progresses slowly so there is still time to act, however, once it get’s to a severe stage it can progress rather rapidly. Aggressive periodontitis is very damaging stage of periodontal disease that could occur even in the healthiest patients. One of the most damaging effects of this stage of gum disease include, rapid loss of tissue and bone in some areas of the mouth, or in the entire mouth. Reports suggest that a severe case of gum disease can lead to other health complications and conditions such as diabetes or heart attacks. Since gum disease does not show itself very well in a person, the only way it can be detected is with regular dental checkups and periodontal examinations. Once identified, treatment options will depend on the severity of the disease. Dental checkups and regular visits to the dentist is not enough, you need to establish a good oral care regime at home as well to help keep periodontal disease at bay . Don’t forget, good dental health benefits more than just a Hollywood Smile! Dental Implants in Dubai are the most preferred solution for people with missing teeth. Other than dental implants, there are those who opt for dentures, but for immediate relief and a quick solution they will opt for same day dental implants. 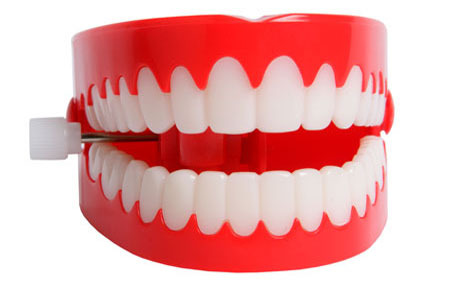 Unlike dentures, same day dental implants don’t slip or move around. Same day dental implants are loaded onto titanium rods that are positioned close to the jawbone to allow the growth of bone to encase them and fuse them permanently to the jaw. The same day implant process will involve three visits. At the first appointment the dental specialist will perform dental extractions of the damaged tooth and insert the dental implants. Within 6 hours the placement of screw retained, fixed acrylic, temporary teeth is done. The third and final appointment will take place within seven days, where the patient will undergo the placement of screw retained, fixed porcelain, permanent teeth. Patients should bring someone to the procedure with them so that there is someone to fill out forms and even drive the patient back home as a sedative will be given during the procedure. Dentists recommend that patients refrain from engaging in any normal activities least a day or two in order to reap the benefits and long lasting effects of the procedure. Make prior arrangements to stock the kitchen with food that are soft like soups, puddings, gelatine, mashed potatoes, yogurt, apple sauce, and other foods that require very little chewing and use of the teeth. Patient’s will need to continue eating soft food for a short time. Never use a straw to drink. You may think using a straw will help when you drink liquids after the procedure, but it can actually cause pressure on the incision area. Give your gums time to heal before using a straw. You should not drink alcohol or smoke soon after a dental implant procedure. If you do have pain, ask the dentist to prescribe some pain medication. Avoid taking aspirin for the pain, as it can make the blood thinner, making the recovery process longer and cause complications such as excessive bleeding. 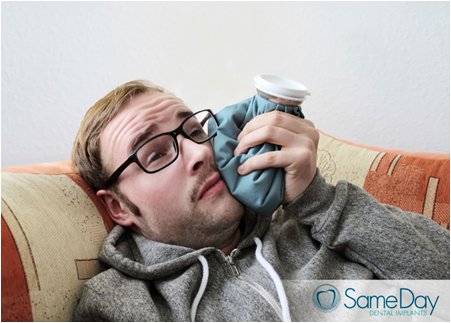 If you do have a swelling in the area, use an ice pack to the outside of the jaw to reduce the swelling and help reduce the pain as well. Ice packs can provide relief for a short time. Use a towel to t wrap the ice pack so that you don’t directly place it on the area. Avoid strenuous activities or talking too much, if you do have visitors explain to them prior to the procedure that you will not be able to talk to them much. If you are a patient who needs to return to work, then plan and schedule the procedure so that you can have at least 2 – 3 days to recover. You should spend the first 48 hours resting as much as possible to avoid any complications. The dental clinic in Dubai will provide a few tips on same day dental implants after care so that you have a long lasting Hollywood Smile and aesthetically pleasing fixed teeth. Dental fillings are a dental restorative material that is used to reinstate the function and integrity of missing tooth structure. Without dental filling the bacteria can travel to the interior structure of the tooth, causing further damage, resulting in a root canal treatment or even dental extractions. There are several types of material that is used for dental fillings, but the most commonly used materials are mercury or silver and white or resin also know as tooth-colored fillings. Mercury or silver fillings have a high metal content, making them capable of withstanding even the most strongest bite. They are inexpensive and not the most preferred choice among patient’s, as it contains mercury and can cause damage to the dental structure as the mercury expands due to heat. Mercury fillings should not be used on pregnant women or people with certain health conditions. On the other hand resin or white fillings also called tooth-colored fillings are realistic and are made of acrylic and glass composite. White, or composite, fillings are tooth colored and look natural. They set rather quickly as well, allowing patients to consume food and drink almost immediately without having to worry about damaging the new filling. These type of fillings are very common and bond directly to the tooth, resulting in stronger teeth. Other forms of tooth fillings include gold fillings and procedures such as dental crowns, these are more expensive alternatives for tooth restoration. However, today a new dental filling is in the pipeline and we can say bye to fillings and drillings, in the future. The new technology is a technique used to rebuild teeth using tiny electrical pulses. This system effectively reverses decay by using electrical currents to boost the tooth’s natural repair process. Minerals that are lost during decay and cause painful cavities, are replaced, removing the need for drilling and fillings of resin or amalgam. This technique is known as Electrically Accelerated and Enhanced Remineralisation (EAER), could be available within three years. This new system is not only kinder to the patient, better for their teeth, cost-effective but pain free too. Researchers say that this can be used to whiten teeth, as well. Today there are so many people who suffer from tooth decay and is one of the most common preventable diseases in the world. The method first prepares the damaged part of the enamel outer layer of the tooth, then uses a tiny electric current to draw calcium and phosphate in. Electric currents are already used by dentists to check the pulp or nerve of a tooth. 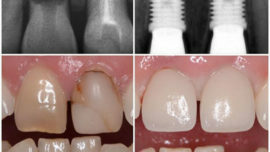 This tooth-rebuilding technique developed at King’s College London does away with fillings and instead encourages teeth to repair themselves. There is no doubt that this new method can make a big difference in dental health and for patients suffering from tooth decay. Until this new technique is introduced, patients will have to make do with mercury or tooth colored dental fillings or even bet yet, no fillings at all. Prevention is the best medicine. Therefore, reduce the risk of cavities and other dental diseases by brushing your teeth twice a day, flossing daily, eating a balanced diet and regular dental checkups. Patients at the Dental Clinic Dubai are constantly posing the question as to why a hot cup of coffee or a cold dessert becomes a painful experience and why brushing and flossing suddenly make them wince. Some experience a tingly feeling, or a pinching of pain affecting all teeth or certain areas of the tooth. The answer to this is sensitive teeth. Tooth sensitivity can occur constantly or intermittently. Intermittent tooth sensitivity can occur with hot or cold food or beverages, or when the cold air hits the teeth. Brushing teeth too hard, causing enamel loss and dentin exposure. In some cases, the pain associated with tooth sensitivity is mistaken for root damage. 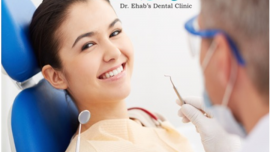 It’s best to see a see a dentist in Dubai to determine the true nature of the sensitivity. The dentist will use various dental instruments in the area to locate the sensitive tooth. Once the area and the cause is determined your dentist will use a desensitizer. The desensitizer acts as a protective layer and reduce sensitivity, it can also reduce discomfort during dental treatments. This is a common treatment option for sensitive teeth. The dentist may also recommend certain other treatment options to reduce the sensitivity as well. The treatment options for sensitive teeth may vary for each patient, depending the level of damage. Desensitizing toothpaste – The ingredients contained in the his special toothpaste will seal off the microtubules inside the exposed dentin to reduce tooth sensitivity. Fluoride gel – These gels strengthen the affected tooth enamel, prevents tooth decay and dental cavities and reduced the hypersensitivity of the teeth. Treatment options such as inlay, bonding and dental crowns for tooth decay can prevent tooth sensitivity as well. Surgical gum graft – If the gum tissue has been lost from the root, this procedure will protect the root and reduce sensitivity. A Root canal -If the tooth is overly sensitive and cannot be treated by other treatment options, then a root canal procedure may be the best solution to eliminate the problem. For low-level sensitivity. A home maintenance program is the best option. Using fluoride rinses, gels and toothpastes can make the tooth less sensitive by creating a protective coating to cover the sensitive tooth surface. A soft-bristled toothbrush may help as well. Sensitive teeth can be treated so you don’t have to suffer in silence. We all experience a time in our lives, when we really do need a change to lift our spirits and make us feel good again. It can make a world of difference to jazz things up, and gain a new lease on life. But some of us struggle with finding that source of renewed enthusiasm. What if this dramatic transformation and life changing experience was possible with just one simple visit to your Dental Clinic in Dubai for a teeth whitening treatment. 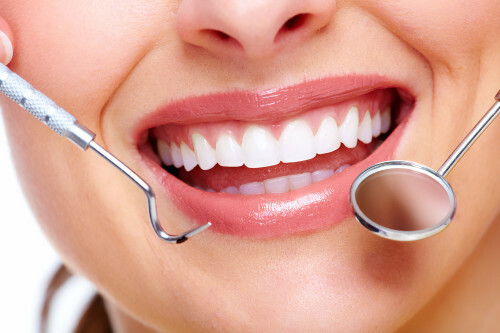 Teeth whitening offers you that much needed significant change your looking for and much more. Never underestimate the changes a brighter smile could bring into your life. Teeth Whitening in Dubai has become a routine practice for many dentists. They find that offering this treatment is a worthwhile effort and that many patients will not hesitate to opt for the it so that they can have that healthy Hollywood Smile. To build and increase self confidence. The more we look are our teeth in the mirror and see how great our pearly whites are, the more we will have that sense of self worth and confidence and portray the same confidence in our daily lives. When you look good, you will feel good about yourself. Teeth Whitening also gives a healthier appearance. When we have a whiter, youthful looking smile it shows others that we are in good health and that you take pride in your appearance. Often times it’s a person’s smile that has a big influence on other people to give them that good first impression. You can stand out from the rest of the crowd if you have a nice, white flawless smile and tell the whole world that you are ready for success. There are several types of teeth whitening methods that are available and they all have the same goal in common, to make your teeth whiter. Some are Do-It-Yourself teeth whitening while others are done under the supervision of a dentist. Having your teeth whitening at a dental clinic in Dubai is the best option as the dentist will be able to give a long term solution for white teeth as opposed to the temporary teeth whitening solutions at the store. Some of the tooth whitening options that are available are teeth whitening toothpaste, teeth whitening strips/ whitening pens, teeth whitening with custom trays and in-office teeth whitening. Teeth whitening is a very simple procedure that can give you the best results. Talk to your local dentist in Dubai before the whitening. You may have dental fillings, dental crowns or other oral irregularities which will become more prominent and if it’s not treated before teeth whitening treatment. Make sure you have taken care of all other procedures that need attention prior to teeth whitening so that you can enjoy your new white smile. Having a healthy Hollywood Smile in Dubai is not as difficult as many perceive it. We think that Hollywood stars spend a lot to have that dazzling smile. But many will be surprised to know that with simple steps of brushing, flossing and rinsing on a daily basis, it will lead to a smile that you can be proud of. SameDay Dental Implants, a popular Dental Clinic in Dubai, gives patients a few tips on how to keep their smiles as healthy as possible. Brush, floss and rinse twice a day every day. We all do this, but are we doing it correctly. Sometimes in our busy day to day lives, we forget or overlook these simple tasks. Following a good oral health care regime is a great start to a healthy smile. Avoid sugar as much as possible. Food and drinks high in sugar become breeding grounds for bacteria once the sugar gets logged on the teeth. The sugar creates an acid environment in your mouth where bacteria thrive, leading to tooth decay. Vitamins, especially vitamin C can eliminate dental health issues like loose teeth and bleeding gum. Good sources of vitamin C include citrus fruits. Once you do have citrus food make sure to rinse as it can be highly acidic, which can harm your teeth. Eating crunchy food such as carrots, celery, and apples can naturally clean your teeth and freshen your breath. Stock up on your daily intake of calcium. Calcium will keep your teeth and bones strong. Good sources of Calcium include milk, soybeans, and cheese. Drink plenty of water. When you drink enough water, especially in a country like Dubai, where the summer months can be really hot, it keeps your teeth and body healthy and hydrated. Water is much better than sipping on ice cold tea or any other sugar based beverages. Rinsing your mouth with water after every meal, this can limit tooth decay as well. Regular dental visits. Make sure you see your dentist is Dubai at least every 6 months. Frequent dental visits are not only important to get your Teeth Whitening done professionally, but also take care of any dental problems while it is still in its early stages. Dental implants are designed to replace a missing tooth or teeth. The implants act as the foundation for the dental restorations which can include dental crowns, dental bridges, dentures. Dental implants are the most preferred choice when it comes to replacing missing teeth. They are highly successful and can last a lifetime with proper care. At SameDay Dental Clinic Dubai, they understand that missing, chipped, infected or broken teeth can cause pain, discomfort, embarrassment and difficulty attending to your daily activities like chatting with friends over a coffee or enjoying a night out at your favourite restaurant, while also knowing that your time is valuable. That is why they offer same day implants that can change your appearance and quality of life in just one visit. Patient safety, comfort and satisfaction are their top priorities. Same day Dental Implants in Dubai are effective, attractive and affordable, making them the most preferred option in Dubai for restoring your smile and dental health. The process of inserting same day implants are fast and the effects are long lasting, you will never again have to compromise on quality. Dental implants are a permanent solution to many dental problems . The material used for the construction of implants makes them far more durable than dentures or bridges, and their integration with the jawbone makes them a secure and well-fitting treatment choice. Same day implants look and feel natural and has a high success rate enabling patients to enjoy their new smile quickly. These implants not only improve a person’s appearance, but they can also improve their overall dental health. The natural teeth are never modified or altered in any way during the procedure. SameDay Dental Implants, is the dentist in Dubai offering the ‘‘same day dental implant” service, making it more accessible than ever before. 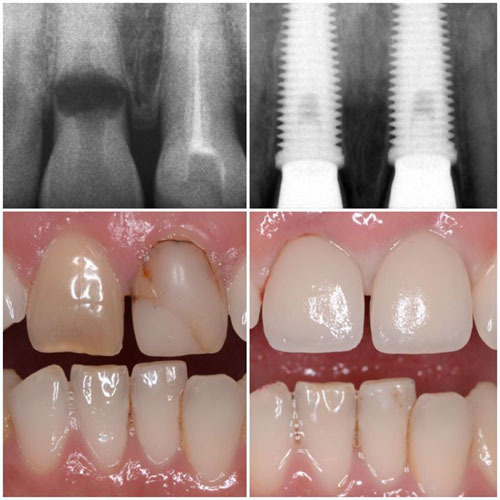 The well-documented ‘’same day implant’’ technique allows implants can be loaded immediately, letting you walk away with ‘’same day teeth’’ and a smile you are proud of within 6 hours. Some of the benefits of same day dental implants are, increased self confidence with perfect looking teeth, comfort, the best options for people with a busy lifestyle and cannot spend more than a day at the dentists office and offers a lifetime guarantee. You don’t need another reason to be convinced that same day dental implants are the best option for you! Lots of people are worried about visiting their local Dental Clinic in Dubai and dreading their dentists discovering a cavity. Tooth fillings are a reality for many people and getting to know how you get them and how to prevent them will make it easier to eradicate dental problems in the future and keep dental cavities at bay. A filling is a restorative process that removes decay and bacteria and seals the repaired tooth to prevent further decay. When an individual needs Dental fillings or a filling, there are a few signs that will make them aware that their tooth needs urgent care. Some people may have sensitivity to pressure, or may experience pain when they bite on food, there will also be dark stains and food might start to accumulate around the filling. Decaying of teeth is mostly due to the presence of bacteria in a person’s mouth, which feasts on the sugar from the foods that we eat. When these bacteria are not cleaned using brushing and flossing teeth, the bacteria will begin to multiply and after eating the sugary substances in a patient’s mouth, they release a strong acid that eats away at the teeth. Bacteria live in a patient’s mouth and a dental filling will stop a patient’s tooth from decaying.Therefore, visit your dentists regularly to help lessen the chance of developing a cavity and eliminating bacteria from your teeth. 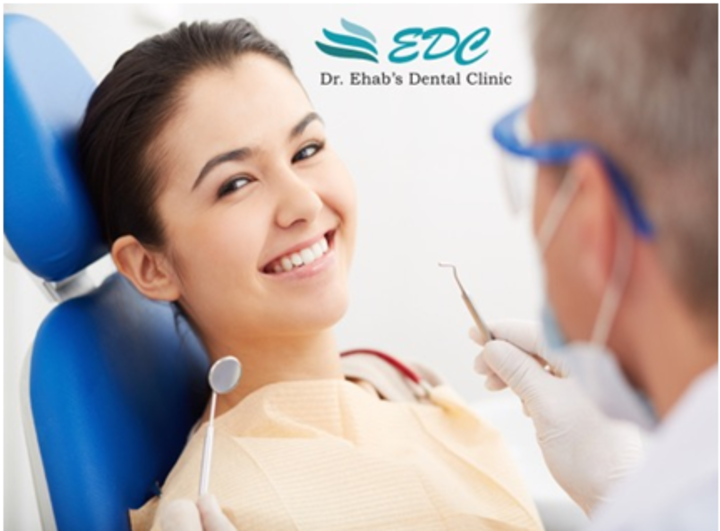 If a patient does have fillings, getting a professional Dental Cleaning in Dubai will help keep their smile healthy. Also, if an existing filling falls out the patient must see a dentist immediately as this could be very painful and if left untreated, the patient could end up needing intensive treatment such as a root canal, build up, crown, or even extraction. However, in order to have good oral health and a dazzling Hollywood Smile, brush after each meal and floss every day to prevent more cavities in the future. In between dental cleanings, avoid drinking sodas and eating sugary candies. At SameDay Dental Implants we treat these minor dental issues so that they don’t become larger ones. The most common way for us to treat tooth decay is with a filling. We match the material used to your tooth color in order to provide the most aesthetically pleasing treatment. Cosmetic Dentistry is the process of creating a positive change to a person’s overall well being by treatment methods to enhance their smile and teeth. With a dazzling new smile, people build confidence in themselves, giving them the ability to do anything they want and never have any negative vibes about themselves. With cosmetic dentistry, dentists administer life changing treatments that can truly enhance the shape and colour of a patients teeth. Implants- These are replacements for missing teeth and can replace missing teeth in one day with the immediate loading of dental implants. By using angled implants, placed directly into available bone, the procedure does not require bone grafting, which is normally associated with the placement of implants and can be painful. The ‘’same day implant’’ technique means you can walk away with ‘’same day teeth’’ and a smile you are proud of within 6 hours. Dental Crowns- Crowns are dental restorations covering all or most of natural teeth that have been damaged. They are made of composite or porcelain and are cemented on top of the damaged teeth. Bonding- This refers to covering the tooth surface with a composite material to repair and change the colour or shape of a tooth. It is also sometimes called composite veneers. 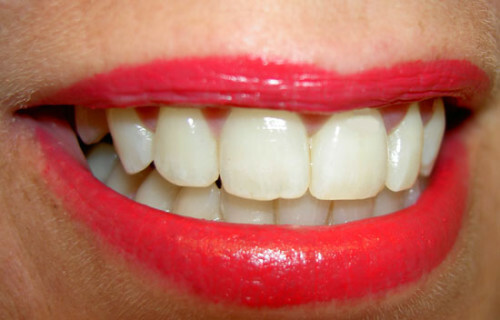 Teeth Whitening and Bleaching- This is a process that restores teeth to their natural colour. Bleaching will not whiten porcelain crowns or composite tooth-coloured bondings. Veneers- These are thin, custom-made shells of porcelain bonded to the outward-facing sides of natural teeth to improve their appearance. 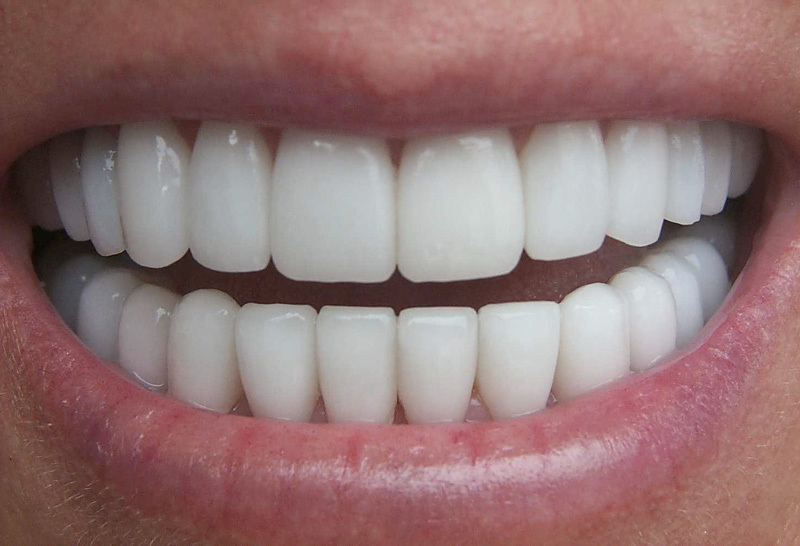 Ceramic porcelain Veneers gives people that natural-looking smile. 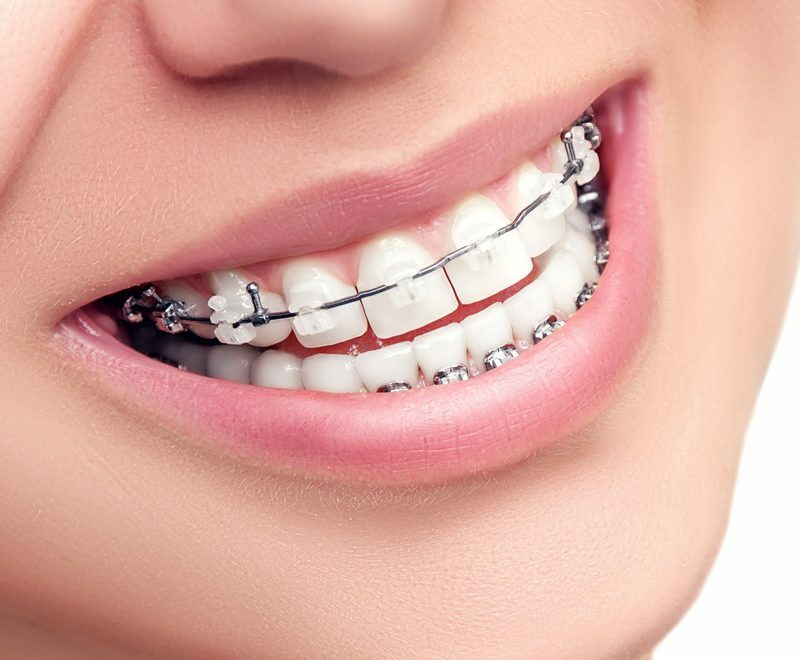 This treatment is often recommend to enhance, restore tooth structure and function, and correct some orthodontic problems. No two veneer procedures are the same, they are different and depend on the individuals teeth and appearance. A beautiful sparkling smile says it all, and you deserve to have it.